The Institute Council is the governing body of Elite Education Institute. The Council makes decisions in relation to policies and planning, develops the Institute’s legislation, and approves policy documents. The Council is advised by its committees, and ensures that the Institute acts according to the regulations and compliance requirements outlined to Education Providers. 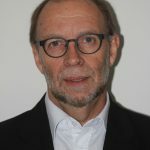 Emeritus Professor Dean Forbes is a Matthew Flinders Distinguished Professor Emeritus at Flinders University, Chair of the Intensive English Language Institute and a management consultant specializing in higher education. He is a Fellow of the Academy of Social Sciences in Australia and was a Public Policy Scholar at The Woodrow Wilson Center in Washington DC. As Deputy Vice-Chancellor and Vice-President at Flinders University from 2000-2013 he led the international activities of the University and the community engagement program and was acting Vice-Chancellor of Flinders University on over 50 occasions. A graduate of Flinders University, Dean Forbes completed an MA at the University of Papua New Guinea and a PhD at Monash University. Emeritus Professor Flood is the author of more than 350 research publications. He is currently Honorary Professor at the University of Sydney and has held previous appointments at the University of Hong Kong and the University of Miami. He lectured at the University of Queensland (1972-1979), the University of New England (1980-2009), and the University of Sydney (2013-2014). He is a Fulbright Post-Doctoral Fellow. At UNE he rose through the academic ranks from Senior Lecturer, Professor, Head of Department, Head of School, Dean of the Sciences Faculty, Pro Vice Chancellor, Deputy Vice Chancellor Research and acting Deputy Vice Chancellor International. He has served as a foundation member for 6 years on the Chairs of Academic Boards of Non- University Higher Education Institutions and has undertaken three annual academic benchmarking exercises for interested institutions. This is a demonstration of the industries recognition of his integrity that they trust his confidentiality when it comes to corporate-in-confidence matters regarding their business. He brings to ELITE Education a wealth of knowledge, experience and contacts. 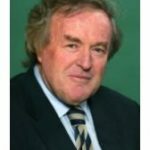 Mr. John Corrigan is managing director of Moorestone, a specialist financial management services firm that assists the finance function in delivering improved performance and added value to the business. His work experience includes many years in financial and management consulting. Prior to consulting he worked in various financial management roles (from cost accountant to finance director), both nationally and internationally, for several multi-national corporations. John was technical advisor to CPA Australia’s Centre of Excellence for several years and is a regular conference speaker and business writer on contemporary financial and management issues. 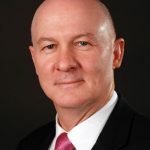 His professional activities currently include being a member of CPA Australia’s NSW Divisional Council, a member of CPA Australia Limited Representative Council, convener of the CPA/CIMA Management Accounting discussion group and coordinator for the Australian Reporting Awards. 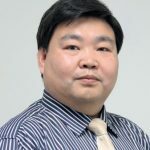 Dr. Jiang has more than 18 years’ experience in university teaching, curriculum development, and academic administration. Prior to founding Elite Education Institute, Dr. Jiang was the Academic Director of some higher education providers. Since 2009, he has developed BIB (Accounting), BBus (Professional Accounting, Business Management, Communication and PR), MPA, MPAB, MIB, and MMPR. Dr. Jiang brings to Elite a wealth of experience in higher education management and his own subject matter area of Accounting and Finance. He is a passionate advocate for quality and practicality in university teaching and in the useful application of accounting as a profession for the betterment of society. Dr. Jiang has been teaching accounting undergraduate and postgraduate programs in several universities since 2004. These have included UNE, ACU, Curtin (Sydney), CQU (Sydney), UB (Sydney) and other institutes. Dr. Jiang is a Fellow member of CPA and a CPA professional examination developer & marker. He is an active professional accounting practitioner and holds a CPA Public Practice Certificate. Dr. Jiang is also a Justice of Peace (JP) since 2008. Anurag Kanwar (BEC, LLB, LLM (SYD), GDLP (COL) ) is a skilled lawyer specialising in corporate governance risk. She is also an experienced lecturer and publishes in the area of business law. She holds a Masters in Law, Bachelors of Law and Bachelor of Economics from Sydney University. She also holds a number of board appointments in the private education sector. In addition, she is a Deputy Convenor of the Admissions and Compliance Working Group for the International Education Association of Australia.